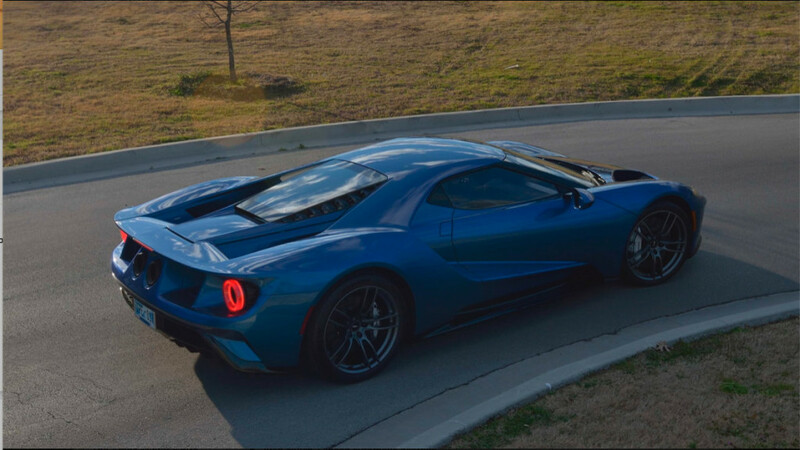 It seems no one wants to keep this Liquid Blue 2017 Ford GT. First bought by pro wrestler-turned-actor John Cena, the GT first changed hands in August of 2017. Ford immediately sued Cena for breaking the legal agreement each GT buyer signs stating they won’t sell (i.e. flip) their car for two years after purchase. The two parties reached an agreement in July 2018. The car has had two more owners since then. Now on the hunt for its fifth owner, the low-slung supercar is headed to the block at Mecum’s Indy 2019 auction on May 18. In January, Mecum came to an agreement with Ford to not accept the consignment of any GT from the original owners within the two-year sale ban. The auction house also agreed to contact and consult Ford regarding any GT consigned from a “downstream purchaser” (i.e. not the original owner) within two years of the car’s initial delivery, and Mecum agreed not to sell any GT without the Blue Oval’s consent. Motor Authority reached out to Ford to find out if Mecum received consent to auction this GT, again, and spokesman Wes Sherwood said, “We are confident we will be able to enforce our ownership agreements but cannot discussion individual customer matters.” Ford refused to comment further. The second owner was an elderly farmer who ended up selling the GT after about a year as he found it too hard to get in and out of the car with his bad back Jalopnik learned from New Autos Inc. chief Bernie Knaus. The third owner bought the car at a Russo and Steele auction during Monterey Car Week in August 2018 for $1,540,000, but took a massive bath on it when he sold it at a Mecum auction in Dallas in October for a mere $1,320,000. When the GT rolled across the Dallas auction block, it had only 626 miles on the odometer. The current Mecum listing states the GT has 635 miles on it. That means the fourth owner has driven a mere 9 miles, which was most likely during transport. Hopefully, the fifth owner will keep and drive this GT after it crosses the auction block on May 18. It deserves to be driven and enjoyed rather than being flipped from speculator to speculator.